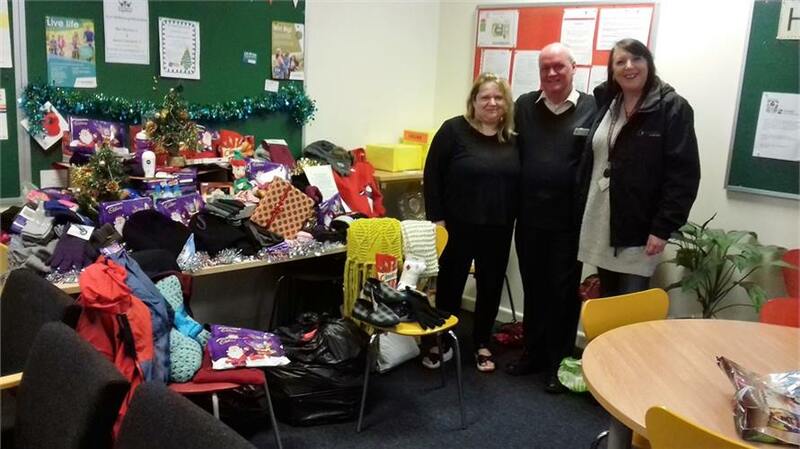 For the forth year running The Job Centre at Cofa Court did a Christmas Appeal for Cyrenians. This was organised by Tan Glendenning (JCP Work Coach Team) and Tony Kelly (Work Coach) pictured with Izzy Hawkins (Operations Manager, Cyrenians). They asked collegues to donate items over the weeks leading up to Christmas. All the items collected including food, chocolate, toiletries & clothing were either used in hampers for residents staying in hostel accommodation or given out on Christmas Day to homeless & vulnerable, at our Annual Event held at the Methodist Church, Coventry Central Hall. They also donated £20 cash so that we could buy other items.